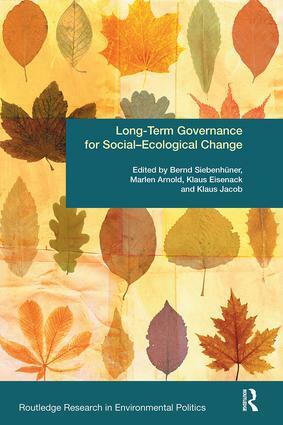 The book discusses how to tackle long-term social and ecological problems by using different environmental governance approaches to creating sustainable development. It explores opportunities and requirements for the governance of long-term problems, and examines how to achieve a lasting transformation. When investments are made to mitigate climate change or preserve biodiversity, future generations can reap benefits from the efforts of the present generation. However, long-term social-ecological change towards sustainable development is disrupted by the fact that the costs and benefits of action are seen by different generations. With a global focus that includes case studies from Europe, Asia, Africa, and North America, this book attempts to address the difficulty of developing and implementing effective long-term governance solutions. The authors examine what distinguishes long‐term problems from other policy problems, what governance responses are available and used, and how different governance mechanisms, namely economic incentives, participation, as well as knowledge and learning, help to address them. Combining the perspectives on the different governance approaches and featuring cases studies on national, regional and global issues, Long-Term Governance for Social-Ecological Change will be of interest to policy-makers, students and scholars of global environmental governance, development, sustainability, politics, economics, law and sociology.